Washington County vital records are available from the Montpelier city clerk-treasurer, whose office is open weekdays 8 am to 4:30 pm. Certified copies of birth, marriage/civil union, and death certificates cost $10, and requests will be processed the same day, with orders taken only by mail or in person. The request by mail must include a check or money order. The town clerk may be contacted by telephone (802-223-9500) or email (choyt@montpelier-vt.org). 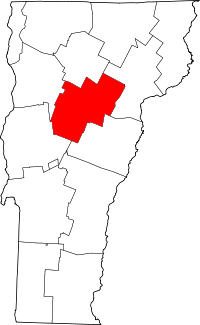 The other Washington County town clerks are located in Barre City, Barre Town, Berlin, Cabot, Calais, Duxbury, East Montpelier, Fayston, Marshfield, Middlesex, Moretown, Northfield, Plainfield, Roxbury, Waitsfield, Warren, Waterbury, Woodbury, and Worcester.